The California DMV is cracking down on abuse of disabled parking placards and recently cited 19 people during an enforcement operation in Glendale. The Department of Motor Vehicles sent enforcement agents to 100 West Broadway in Glendale and wrote citations for 19 out of 100 people that they came in contact with. The department is reminding people that the only ones who can use placards are those to whom they are specifically assigned. Officials often see violations where a person was just planning to park in the spot for a few minutes, or a vehicle is parked illegally next to a disabled spot for purposes of loading or unloading. 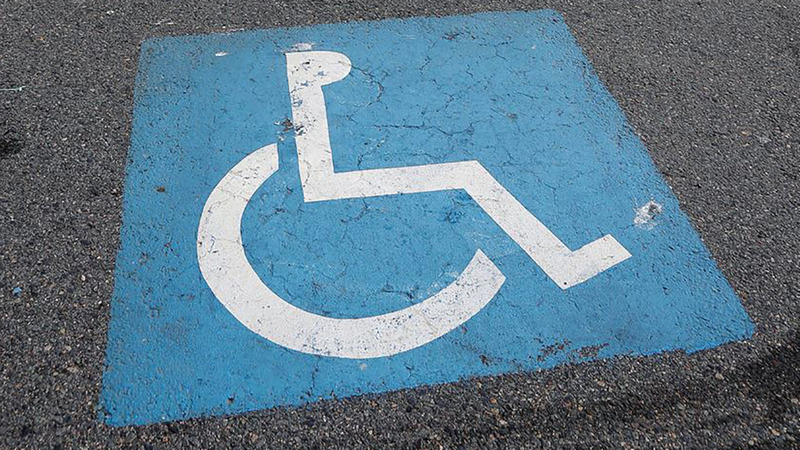 Parking in a marked-off area next to a disabled spot can prevent someone who is disabled from opening their door as widely as they need, noted DMV spokesman Jaime Garza. "How would you feel if you or your family member was disabled, and you needed that spot, but it was occupied by someone who didn't really need it?" Garza said. Statewide, the DMV has issued 1,664 citations since July 1, 2017. The misdemeanor citations can carry with them fines ranging from $250 to $1,000. Information about the DMV's disabled placard program is available here.